BBC iPlayer has launched mobile downloads, enabling users to download BBC TV programmes directly to their smartphone or tablet free of charge, and keep them for up to 30 days. Programmes downloaded from the UK can also be viewed abroad for up to 30 days, so users can take the BBC on holiday with them. Once they’ve pressed play, the programme will remain viewable for seven more days. The new mobile downloads feature is initially available on iPhone, iPad and iPod Touch devices and will launch on Android devices soon. This launch builds on BBC iPlayer’s strategy to move beyond the PC and make more quality BBC content available across mobile, tablet and internet connected TVs, delivering increased value to audiences. 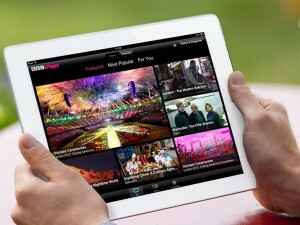 In July 2012 alone, there were 30 million requests for BBC iPlayer TV programmes via a mobile or tablet, an increase of 142 per cent year on year.